Today Xiaomi announced its first tablet called Mi Pad and it’s looking like a pretty exciting piece of tech at a hard to believe price point. The slate features a 7.9″ 2048×1536 pixel display (326 ppi), which matches the one on the iPad mini 2 and is the fist to be powered by the latest gen Nvidia chipsets. Under the hood of the tablet lives the powerful Nvidia Tegra K1 with a 2.2GHz quad-core Cortex-A15 32-bit CPU, a potent 192-core Kepler GPU and 2GB of RAM. 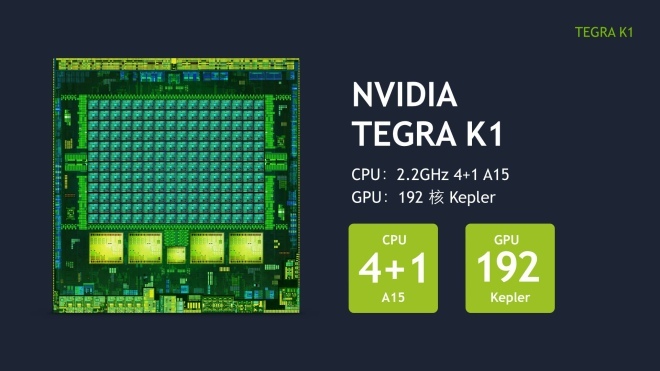 According to a leaked benchmark score the CPU inside the Tegra K1 is more powerful than even the Krait 450 inside the Snapdragon 805. There are 16GB and 64GB models and both come with microSD card slot that supports up to 128GB of additional storage. 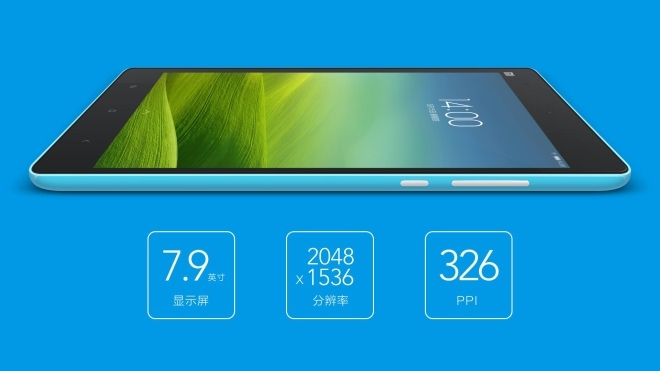 At the back, there’s an 8MP camera with an f/2.0 aperture, while at the front Xiaomi has placed a 5MP snapper. Impressively, the slate supports Wi-Fi 802.11ac connectivity. 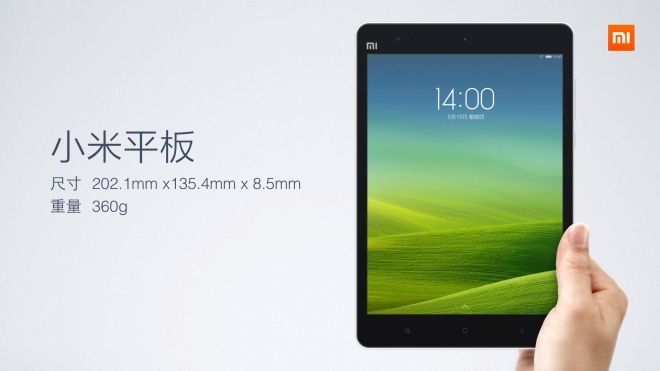 The battery of the Xiaomi Mi Pad is 6,700mAh and the company rates it to be good for 11 hours of video playback and 86 hours of music playing. Available in a number of different colors, the Mi Pad will retail for the cool $240 and $273 for the 16GB and 64GB models, accordingly. Sales begin in mid-June, but it’s unclear if it will be joining Xiaomi’s overseas expansion or if it will remain only available in China.